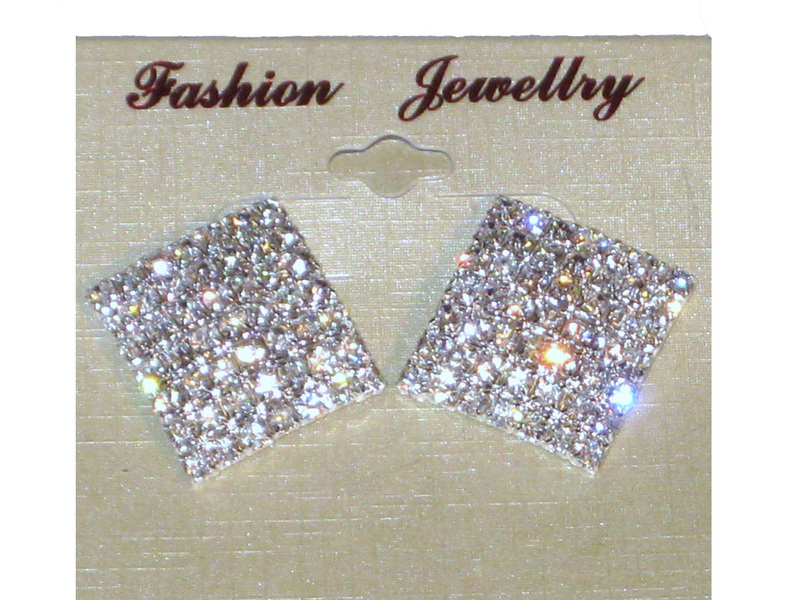 You are looking at diamante earrings in a silver colour. The diamante are clear, and sparkle in light. They are for pierced ears and are nickel free. They are a square shape with a slight curve. Perfect for that special occasion! Due to hygiene reasons, we are unable to accept returns on this item.